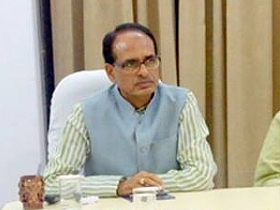 Chief Minister Shivraj Singh Chouhan said that the Kalar Samaj is a society of hardworking, self-respecting and honest people. The members of the community have extended support in the development of the state. The society has started many projects of social welfare. 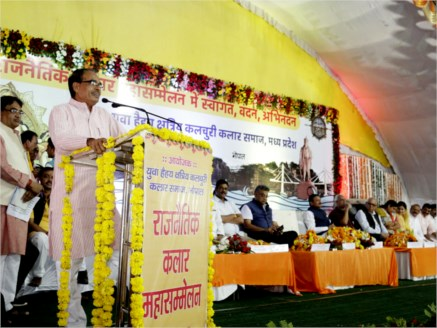 CM Chouhan was addressing the Political Kalar Mahasammelan organized at Bittan Market Ground in Bhopal on October 2. The event was organised by Youth Haihay Kshatriya Kalar Samaj. 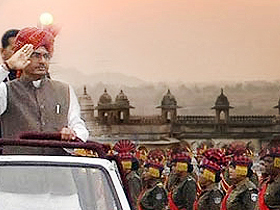 CM Chouhan also reached the Mahakumbh of Valmiki Samaj at Ravindra Bhavan. He said that due to the cooperation of the Valmiki Samaj, Madhya Pradesh has been able to top in the country in the Swachh Bharat Abhiyan. Valmiki Samaj is a Lok Swasthya Rakshak (Protector of Public Health). Valmiki Guru Shri Umesh Nath also addressed the Mahakumbh.